Whether they come as bane or blessing to our mailboxes, most of us receive holiday letters, and many of us write them. In this age of chronic over-sharing on social media, the year-end family newsletter might have become a thing of the past, but it seems to be hanging on to its place in our lives. That’s a pretty good reason for continuing the tradition, “to share the good times with the people you love.” There are other good reasons, too: to take stock of your life, and to share with others something of the essence of your life. Even the day-in-day-out routine of life is worth sharing, in fact may be the thing most worth sharing. Extreme highs and lows are rare and unrepresentative; it’s the ordinary stuff that makes up most of life and that can be the real witness to our values and priorities. If Christmas has anything at all to teach, it seems to me it’s this: that it’s in the most ordinary facts and experiences of life that something divine is most likely to suddenly burst upon us. And we may not know it until later, perhaps years later. So the little, ordinary experiences of life deserve to be noticed, and interpreted, and shared with others in simple ways, like in a holiday letter or over a cup of coffee at the kitchen table. One of the great classics of Western spirituality is a tiny book written in the seventeenth century by Brother Lawrence, The Practice of the Presence of God. It’s a collection of conversations and letters that reveal how our ordinary days can be charged with eternity. Brother Lawrence was as much at worship while working in the kitchen as he was in a cathedral. In his gospel, Luke relates how “Mary quietly treasured these things in her heart and thought about them often” (Luke 2:19 NLT). I suspect the things Mary treasured were not grand memories of magi and shepherds and angels, things that probably did not become part of the story until much later. 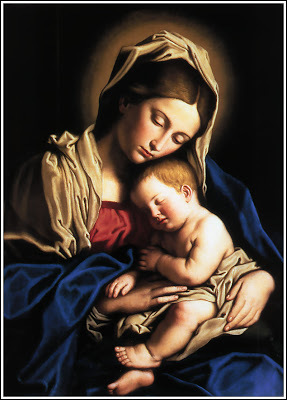 I suspect what Mary held in her heart and thought so much about were the ordinary joys and griefs every young mother remembers about bringing new life into the world, and raising a son, and watching him as he “increased in wisdom and in years, and in divine and human favor” (Luke 2:52). God does not come very often, in my experience, if God ever comes at all, in sophisticated visions and grand productions. Those things are the stuff of legends and Hollywood. What I consider the most trustworthy presence of God has always come to me as it came to Elijah in the wilderness, not in fire or earthquake or whirlwind, but as “a gentle whisper” (1 Kings 19:12 NLT) or “a sound of sheer silence” (NRSV). Christmas is not a time for the “big effect,” to listen to eloquent sermons or sing moving music. Christmas is a time to experience God again as if on a night in Bethlehem so long ago. It’s a time to come face-to-face, flesh-to-flesh with God in the most ordinary and routine experiences of our daily lives, just where we least expect it. Maybe this Christmas there will be no star, no heavenly display pointing the way to where some new Incarnation will appear. To find the Christ who has come, I’ll have to look among the memories of life that are most precious, the ones I treasure in my heart and think about often. Things I might put into an ordinary holiday letter to a friend.